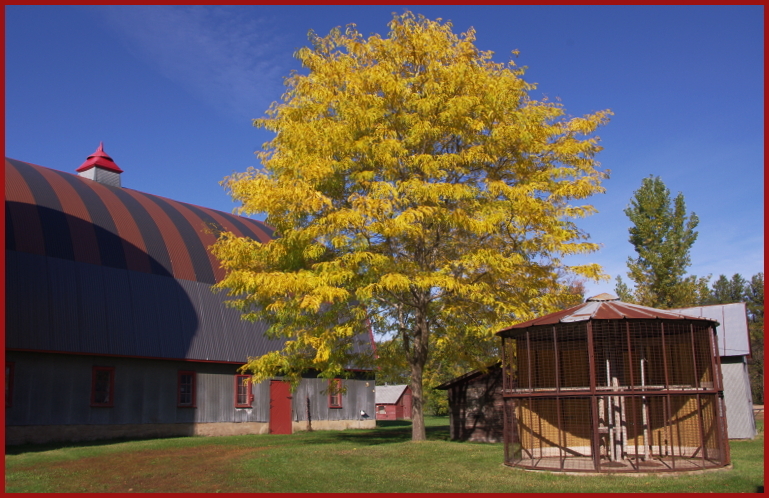 hought I’d snap a picture of the beautiful tree beside the barn in it’s fall plumage. My sister Paula, in fact, planted this tree into a styrofoam cup in kindergarden from a seed of the huge honey-locust tree standing outside our elementary school. My dad then nurtured and trimmed it into this stately looking specimen that is now taller than the barn. When I started working on the barn a few years ago, Paula, panic-stricken, asked if I was going to cut down her tree. I said of course not. The beauty of this tree lifts my spirits most every day. I love locust trees. How cool that your sister planted this one from a seed she found outside her school!